The James Beard award-winning Cookbook from the Junior League of Boca Raton, Florida now has an app! Loaded with 431 recipes and tips to host the perfect dining experience. This elegant app is a must for Junior League members and home entertaining enthusiasts. Enjoy quick access to saved recipes for on-the-go planning. 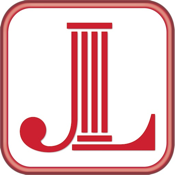 If you are a Junior League member that would like to make your local League’s cookbook into an iPhone/iPad app, contact RAM4LLC below through App Support to be directed to the website RAM4LLC.com.